Educator and veterinarian – homeopathic medicine, nutrition. 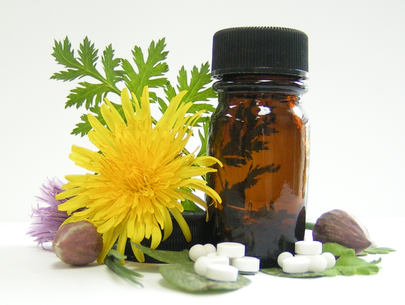 Exploring holistic medicine & homeopathy. This condition is common and very frustrating for people to deal with. The usual appearance is first a redness of the gums, a line along the border of the teeth. Then, with more progression, looseness and decay of the teeth. For some poor cats it ends up with them losing all of their teeth. The usual treatment for this is antibiotics followed by cleaning of the teeth (or removal of same). The treatment helps for a while but does not resolve the problem. It is not a bacterial infection so the antibiotics do little to affect it. What is interesting is the historical perspective. I graduated from veterinary school in 1965 and in my first years of practice this condition was not seen. We would indeed see dogs that had deposits on their teeth and advise cleaning but cats rarely had any issues or needed this to be done. With time, the frequency of this in cats steadily increased and the question, of course, is why this is so. It is not a genetic condition, and is not an infection due to some new strain of bacteria. Whenever a condition without an obvious cause affects a large percentage of the population it is usually something in the environment, something that is not healthy to be exposed to. It is looking now that this condition is caused by mercury poisoning. Mercury was used very much in medicine a couple of centuries ago, as frequently as antibiotics are used today. As this was done in people it was learned that the primary effect of mercury poisoning was the inflammation of the mouth with eventual decay and loss of teeth over time — just like is seen in these cats. Why would this especially be a problem in cats? If you look at the labels of cat foods you will find a very large percentage of them contain fish. And fish is very high in mercury. There is also mercury in other meat sources but it is highest in fish. This is so because in the burning of coal in power plants to produce electricity. The smoke given off contains mercury which was in the coal and this mercury released into the air is brought down to earth by rain. In the soil and water the mercury is modified by bacteria to become an even more toxic form — methyl-mercury. Then it is picked up by plants and small animals living there and as these plants and animals are eaten by other animals the amount becomes increasingly concentrated in their tissues. Much of this also washes down into the streams, and eventually the oceans, which is why it is so high in fish. You might remember that women that might be pregnant are advised not to eat fish more often than once a month. Now translate this back to the cat eating it every single day. This problem with mercury coming from coal burning has been known for several decades but our government decided it would be too expensive to regulate and so it was allowed to continue all of this time. We are now reaping the results. If you eat fish, whether wild or farm raised, you will be getting additionally a nice helping of mercury. What evidence is there that this is important for cats? In a report from the Environmental Working Group (EWG; ewg.org) in 2008, the amount of mercury in the blood and urine of cats was compared to that of human beings. Over 9000 people had been assayed by the CDC and the amount of mercury found was averaged out as a reference to what, these days, is the common level for people. They didn’t say it was OK, just this is what was found. The EWG did a similar study of the blood and urine of 37 cats tested at a Virginia veterinary clinic. What they found was that cats had, on average, 5 and a half times as much mercury in their bodies as human beings. This is highly significant and identifies for us what is the likely cause of this common mouth condition. Once I realized this, I started treating these cats by first changing their diet to eliminate fish entirely and also minimizing meat as a secondary source. The next step was homeopathic treatment and I emphasized those homeopathic remedies which had been identified to be useful for treating mercury poisoning. There are a large number of such remedies, over 60, so it requires careful evaluation of the cat’s condition to choose the most appropriate one. However, once successfully done, it is of much benefit. Hepar sulph., Sulphur, Sepia, Silica and Aurum are often indicated but, again, it takes careful evaluation of the details to make the optimal choice. An obvious next step is the avoidance of any cat food that contains fish. Our best advice is to study the 4th edition of our book, Dr. Pitcairn’s Complete Guide to Natural Health for Dogs & Cats. In this blog we have focused on just one substance, mercury, but there are many more to consider — heavy metals as well as many industrial and home-use chemicals which accumulate in the bodies of the animals that end up being eaten by other people, dogs and cats. We addressed this larger issue in our book, developing entirely new recipes that minimize this exposure to as many of these toxic substances as possible. If you can go further, contact a homeopathic veterinarian to give specific treatment to your cat as this will very much accelerate recovery. This entry was posted in Cat Diseases. Bookmark the permalink.